Check out this new module! On the right hand side of this screen, if you scroll down, you will see the module for "Log in". From here you can register your own user to enter into the forums and leave blurbs. Click on "Register" and get started! We don't need any of your personal info, such as address and phone number and stuff like that. Include your e-mail if you want us to be able to contact you about things, and if you don't feel comfortable with submitting your real name, don't worry, give us a fake name. We won't go by your name anyway. We'll call you by your user. 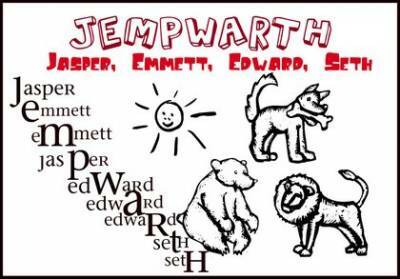 The Official Team Jempwarth Website has now truly opened!! We have transfered everything over from the website and have added new material that we hope you enjoy. Thanks for being patient and waiting for us to finish our renovations. ENJOY!!! This is our PIMP layout website. Enjoy it. Love it. You love it. YES, YOU DO. Hey everybody!!!! Welcome to the new and improved "Official Team Jempwarth Website"!!!!!! We hope you enjoy all the new stuff. Including the ability to register and log in!! WOAHH!! COOOL!! !